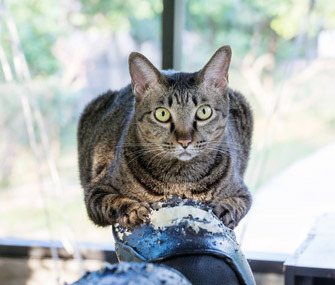 If your cat loves tearing up your furniture, you may need to provide him with more feline-friendly scratching options like scratching posts. My cat likes to hide under our couch and claw at the underside of it. It's driving me crazy. Can I get him to stop?